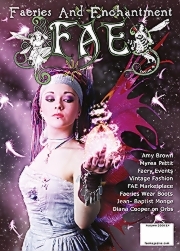 The spring issue of FAE is filled with faery magic, literally! 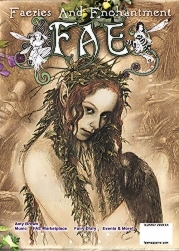 As Lucy Cavendish shows us how to do 'Spell Crafting' with our faerie allies. 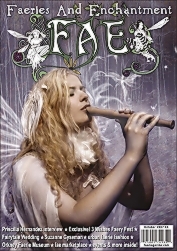 Christine Lynch, daughter of Frances Griffiths (Cottingley Fairies) tells tales of real life faery encounters, and Elizabeth-Jane Baldry talks about the Fynoderee, illustrated by Alan Lee. We look at the artwork of some Cornish artists, including Peter Pracownik, Patrick Gamble and more! 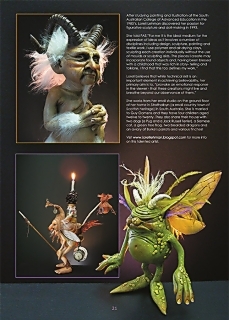 Our 'Fairy News' reveals exciting news about Brian and Wendy Froud in the UK! 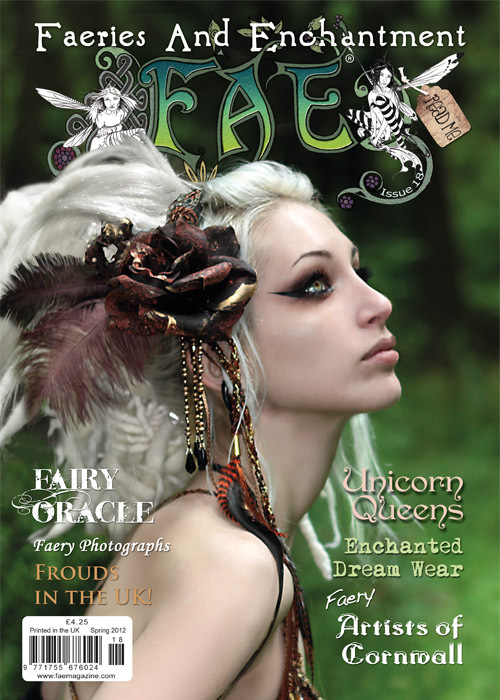 And the stunning Kato is our cover Faery. We meet some Unicorn Queens, and see some Enchanted Dream Wear in our special fashion features. 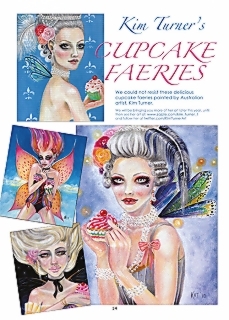 Kitchen Faery, Sharon William’s prepares something sweet for Valentines Day and Australian artist Kim Turner shows us her cup cake faeries. 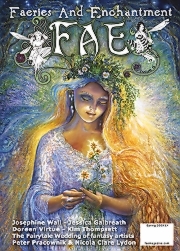 Felicity Fyr Le Fay helps us to act on our ‘Faery Calling’ in a new 4 part series, and Doreen Virtue starts us off on the right track for 2012 with her Fairy card column for the spring months. 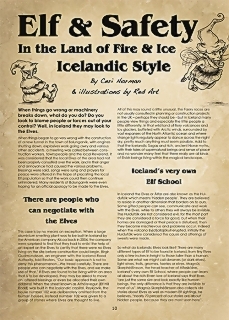 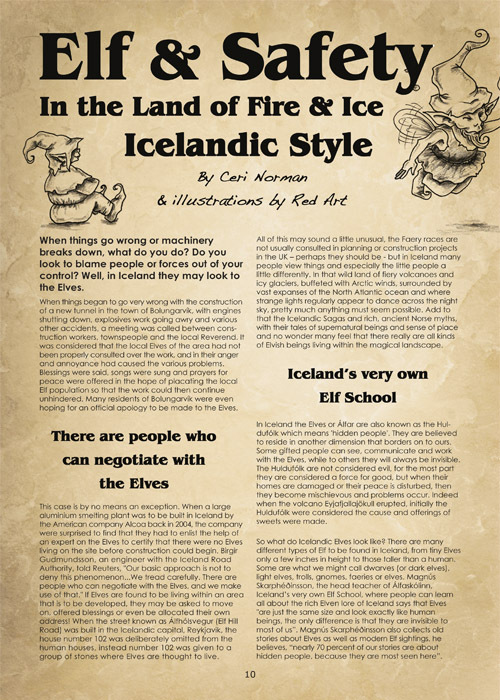 Ceri Norman teaches us all about ‘Elf & Safety’ Icelandic Style! 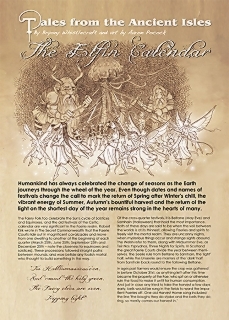 We look at the stunning inspiring sculptures of Lorell Lehman, and Bryony Whistlecraft talks us through the ‘Elfin Calendar’ illustrated by Aaron Pocock. 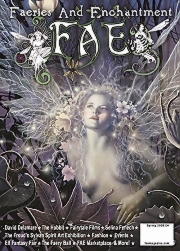 We welcome back Hannah Titania who is now a regular columnist for FAE, and in this issue she talks about and shares some faery photographs, and much much more inside this jam-packed spring edition of FAE!